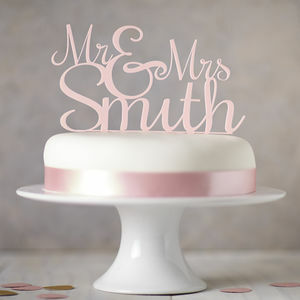 Our Mrs and Mrs Cake Topper will be sure to make your cake even that bit more fabulous. 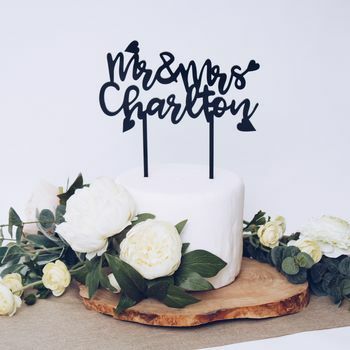 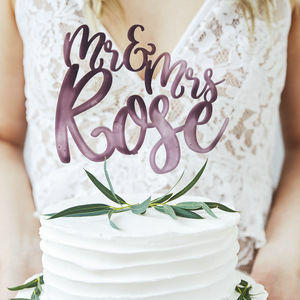 This Name Cake Topper is made from 5mm thick acrylic making it look and feel perfect for your special day. 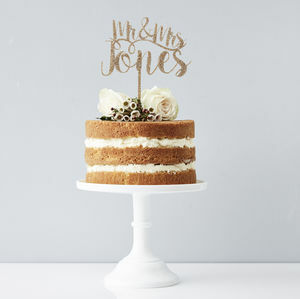 Comes with two stalks as standard for stability but if you would prefer one stalk please just let us know when you order. 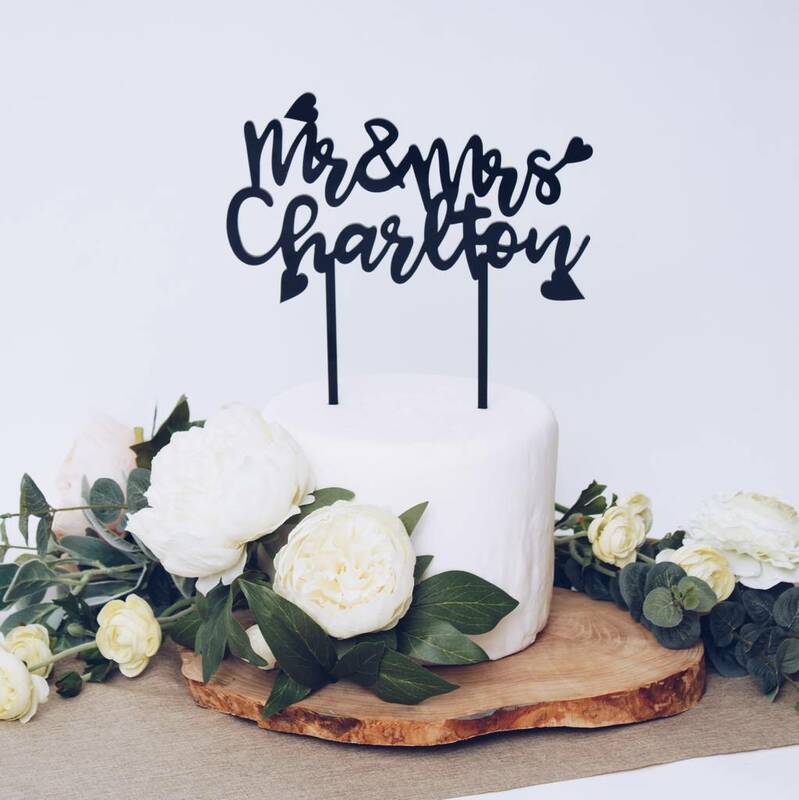 Once you have placed your order we will send though your artwork to ensure you are happy with the design before we go ahead and make your own wedding cake topper. 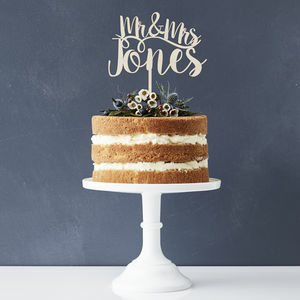 This product is dispatched to you by Salts Cards.